Only 3 days left to nominate Open House Ministries, Wheel Deals Bicycle Shop, and Second Hand Solutions Thrift Shop for Best Of Clark County! Click Above! 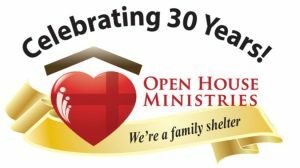 Welcome to Open House Ministries, a family shelter serving homeless families and children in need in the Vancouver, Washington area. Here you can learn more about our program and the families who have undergone the difficult work of transforming their lives, reclaiming their independence and finding home again. 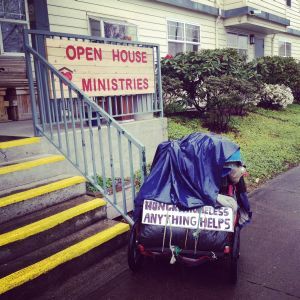 Since incorporation in 1986, Open House Ministries has provided shelter, safety and hope to families in need. Our program focus is to equip families with life skills and practical tools to help them regain healthy, independent lives. We accomplish this through personalized case management, strong community networks, volunteer support, and the generous endowments of our caring community. At the heart of our program is the recognition that overcoming issues of homelessness requires time and transitional support. Since the homeless shelter program is entirely privately funded, we are able to offer services and support beyond the 60 days associated with tax-supported programs. This unique approach allows the flexibility and innovation needed in our programs to help families truly overcome homelessness, instead of providing only a temporary solution. We are more than a shelter. Our focus and resources are committed to equipping homeless families with the tools necessary for resolving the underlying issues that lead to poverty and homelessness. Our various programs are designed to help families not only regain sustainable housing, but restore healthy relationships with each other, with their community and with Christ. There are many ways to become involved in helping families in need in our community. You can join us in our mission by supporting our programs with financial gifts, adopting a room, taking part in one of our upcoming events or by providing the gift of your time as a volunteer. Please Contact us to learn more about how you can involve your gifts, resources and passions in the mission to support homeless families in the Vancouver community.